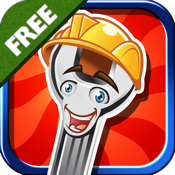 Play this super fun Plumber game for free today! Find your friendly spanner as he's always causing mischief by hiding in various hard hats! The game gets harder & harder as you go on, so keep your eyes peeled!